700 new s.f. in three distinct additions, the largest of which provides a master bedroom, bath and mechanical room. A sunroom addition provides dining space surrounded by windows on three sides. A small entry room and large covered porch make winter access comfortable. The cabin makes extensive use of reclaimed materials, including re-sawn post and beam work at the covered porch recovered from cotton mills in Georgia. Red and grey board-and-batten vertical siding comes from a barn in Wisconsin. 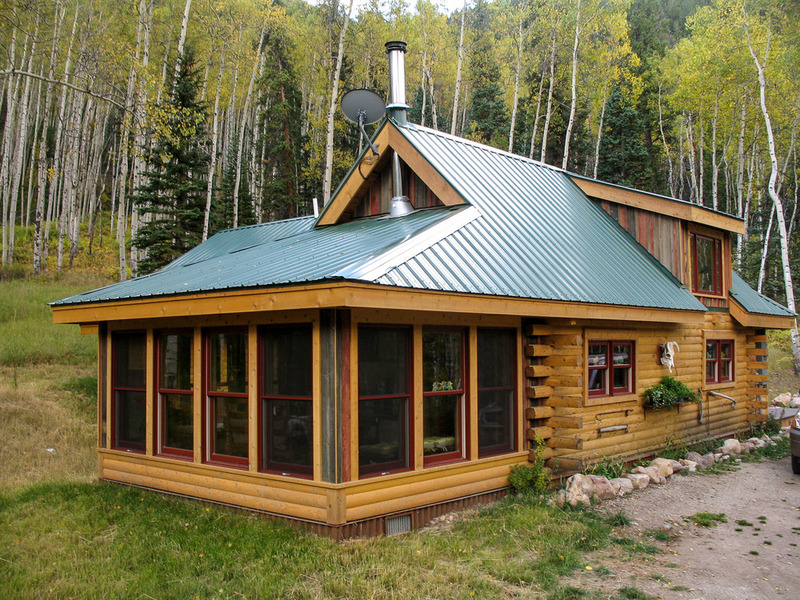 The cabin’s construction details maximize energy efficiency in a cold climate. Additional green features include a tankless water heater for domestic water and Trex composite decking for a durable porch finish.